Zimbabwe will not accept pressure to subvert the rule of law to pacify certain political interests and will uphold the Constitution in the conduct of its affairs, a senior Government official has said. 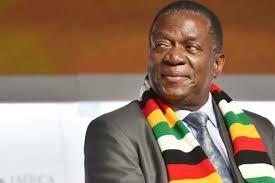 Government spokesperson Mr Nick Mangwana said under President Mnangagwa’s Second Republic, the country would respect its Constitution, particularly with regards to separation of powers between the Executive, the Judiciary and the Legislature. He said this as Government and analysts slammed United States Deputy Assistant Secretary of State Mr Matthew Harrington for claiming that Zimbabwe was harassing political opposition and that authorities should drop what he termed “spurious charges” against MDC-Alliance vice chairman Mr Tendai Biti. Mr Biti is facing charges of inciting post-election violence that led to the death of six people in Harare on August 1. He is also facing charges of contravening Section 66A (1) of the Electoral Act Chapter 2:13, which prohibits the unofficial or false declaration of election results as he unlawfully declared opposition party leader Mr Nelson Chamisa as the winner of the July 30 presidential elections. During a US Senate Committee on Foreign Relations Subcommittee on Africa and Global Health Policy, on Thursday, Mr Harrington suggested that there was “harassment of members of the political opposition” and said the Government of Zimbabwe “should drop spurious charges against former finance minister and prominent opposition figure Tendai Biti and all those who have been arbitrarily detained for exercising their human rights and fundamental freedoms”. But Government and analysts yesterday pushed back strongly, slating the US for its interference and duplicity. “The Government cannot on one hand say no one is above the law and everyone should enjoy the benefit of due process as enshrined in our Constitution and statutes and on the other hand interfere with that due process,” Mr Mangwana said. Mr Mangwana said in line with its diplomatic thrust of re-engaging with the international community, Zimbabwe was willing to make friends, but would not brook lectures on the conduct of its domestic affairs. Political analyst and media expert Professor Charles Pfukwa slammed the US, saying it was not only seeking to undermine the rule of law which it claims to champion, but to also disregard Zimbabwe’s sovereignty. “I would have preferred the US Foreign Relations to talk about Zimbabwe not fulfilling its foreign policy obligations but when they tinker about the bolts and nuts of the internal affairs of our country, I have a problem. It is no longer proper foreign policy or good international relations neither is it good diplomacy,” said Prof Pfukwa. “No one has ever quarrelled about (US President Donald) Trump being a Republican or (former president Barack) Obama being a Democrat. It is not our business to do that because that is their sovereign right. We deal with the US as a nation and not individuals or political entities,” he said. Prof Pfukwa said the US was trying to introduce bullying tactics with an ulterior motive that emanated from Zimbabwe’s natural resources endowment. He said if the US was sincere, it should have preoccupied itself with the Ebola crisis in the Democratic Republic of Congo, killings in Somalia and the killing of a journalist in Saudi Arabia. Another analyst, Mr Goodwine Mureriwa, echoed similar sentiments.